One of the main criticisms made when it comes to the value of bitcoins is that there is no central authority that can control the price of the digital currency over a long period of time. This lack of price stability has caused problems for some users over the short term, but the general understanding in the Bitcoin community is that this volatility will continue to decline over time. To understand what gives bitcoins value in the first place, we must first look at what gives other forms of money value and how the bitcoin stacks up against the competition. When people first begin to think about the value of a bitcoin, they tend to think about the topic in more traditional terms. Even some of Bitcoin’s most adamant supporters, such as Andreas Antonopoulos and Erik Voorhees, viewed the payment system as nothing more than “nerd money” due to the fact that it didn’t have any kind of value derived from real world materials. Many gold bugs think of precious metals as something that have intrinsic value due to their use in certain applications such as jewelry and electronics. Having said that, there is no such thing as intrinsic value in the real world. Everything gets its value from an outside source. For example, gold is only valuable because people need to use it. It would be hard to make a case for the intrinsic value of gold or silver during the Jurassic Period. What people are really saying when they use the term “intrinsic value” today is how unlikely it is for the extrinsic value of a certain commodity to go away in the near future. It becomes easier to understand Bitcoin value when we think of the basis of value found in other commodities in this context. Why Do People Value Bitcoin? So why do people find bitcoins to be valuable? After all, aren’t they nothing more than bits in a computer somewhere? To understand why people value bitcoins, we must understand what the Bitcoin technology gives to people all around the world. Bitcoin is the first censorship resistant digital payment system, which is what gives bitcoins the bit of underlying value that is needed for a market price to pop up in the first place. Much like the desire to use gold in jewelry and electronics is the source of gold’s initial value, the people who wish to use the world’s best form of censorship resistant money also provide bitcoins with their value. Bitcoins are a unique digital commodity that can do something that no other commodity could do before it. They allow two or more individuals to transfer value over the Internet without the use of a third party. If anyone wants to use the Bitcoin payment system, then they must also purchase some of the limited number of bitcoins that are in existence today. This is the source of the bitcoin’s underlying value that could eventually propel it to bigger and better things. Where Will Bitcoin Value Go in the Future? There is no provably true answer that someone could give to the question of where the value of bitcoins will go in the future, but estimates can be made based on a few observations. First, we can see that bitcoins are unlikely to go to zero due to the fact that people demand bitcoins for use in censorship resistant payments over the Internet. 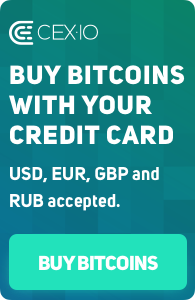 As long as there is a need for these kinds of payments, bitcoins will have some form of value. When talking about the most bullish scenario for the bitcoin, it’s a good idea to look at the comparisons to gold. Gold and silver became money over time due to the fact that they were the best option as money before they were essentially outlawed by the fiat monetary standard. Since bitcoins have gained value as a commodity for censorship resistant payments, they have the same kind of initial value that gold and silver used to propel themselves to the top form of money in the world for thousands of years. The fact that bitcoins are also censorship resistant means that they cannot be stopped in the same way that gold and silver were stopped by various governments around the world.